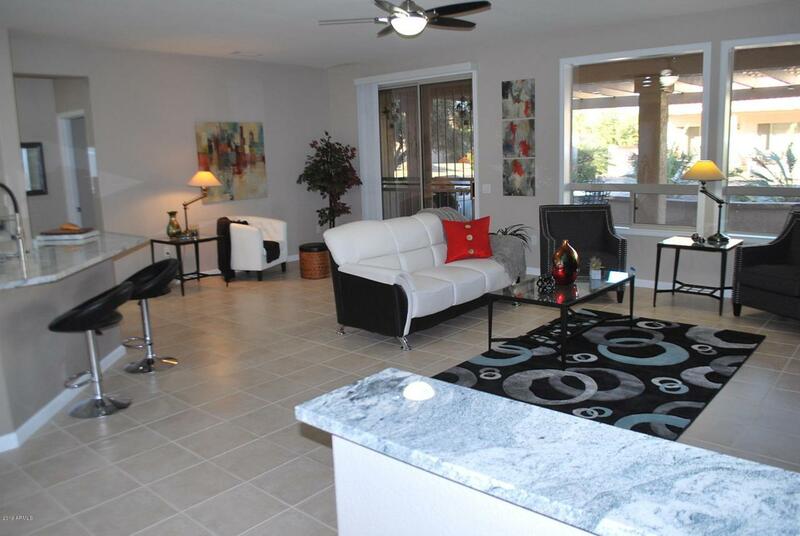 This 3 bedroom Palo Verde is upgraded to 2019. 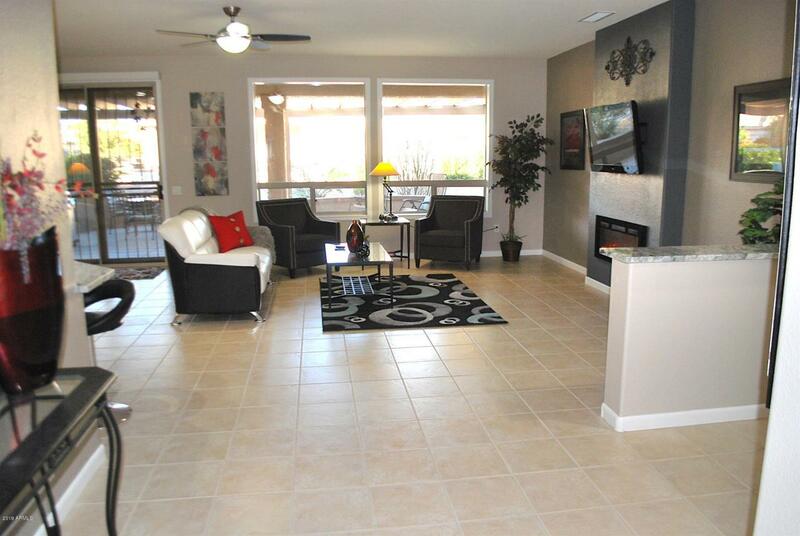 Great room with custom media wall, electric fireplace & framed windows. Kitchen features new granite counter lowered to one level with breakfast bar. Linen cream soft close cabinets throughout. Breakfast room with bay window. 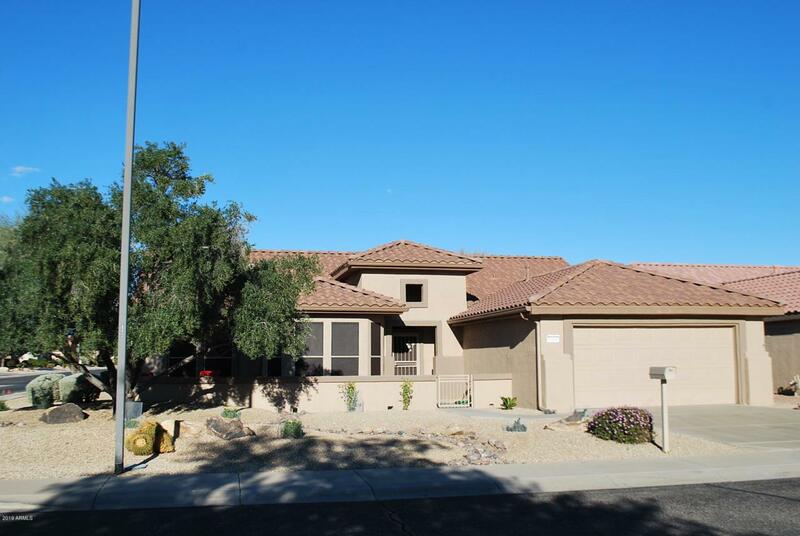 Master suite has a bay window, new redesigned spa shower & double sinks with new granite counters. New ceiling fans & carpet in bedrooms. Guest bathroom has new tiled shower & granite counters. New brushed nickel door hardware. 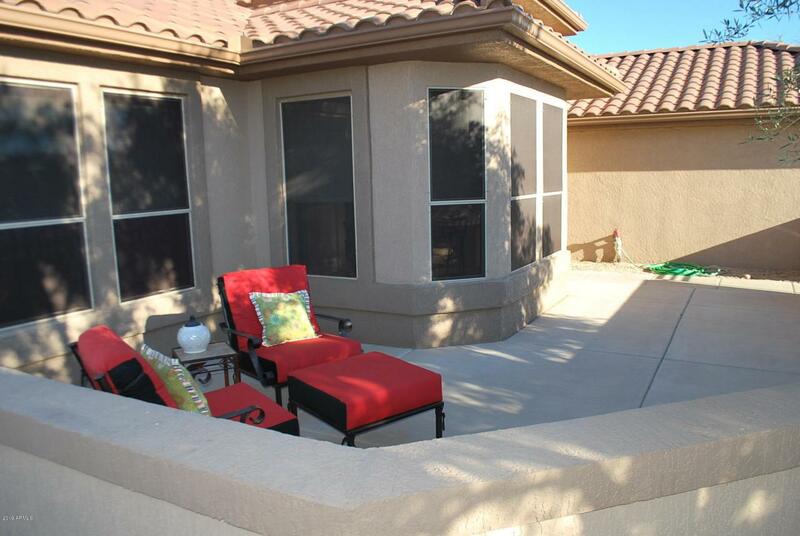 Extended 3rd bedroom has a door to back extended covered patio with knee wall & gate. Inside laundry with cabinets. Extended garage with ramp for golf cart. Newer hot water heater. Newer HVAC. Security doors in front & back. Large front courtyard to enjoy morning coffee. See features sheet.